In Welsh, I’d say that I ‘slept like a pig’. I really did, you know. A pig in a bed with clean sheets, warmth and shelter from the elements. I think I must have savoured every minute of sleep too, in spite of my unconsciousness. A hearty breakfast set me up for the day, while I ate it with this as my view. Looks like I was in for another drenching. With waterproofs donned, I set out. 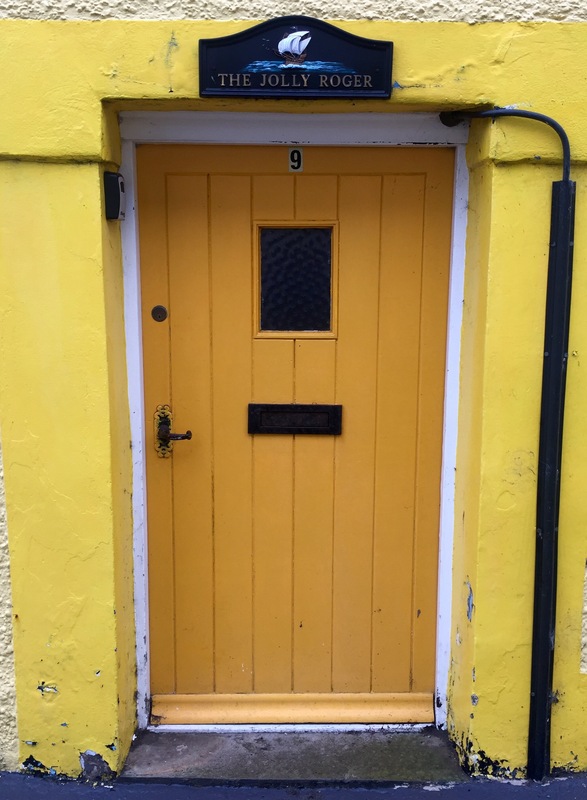 Everything in Aberdyfi looked so bleak in the rain but this doorway stood out a mile. Another place I’ll have to return to in finer weather. I was soon on the Wales Coast Path next to the Dyfi estuary. Yachts and boats bobbed about. Nobody was out sailing on a day like this. 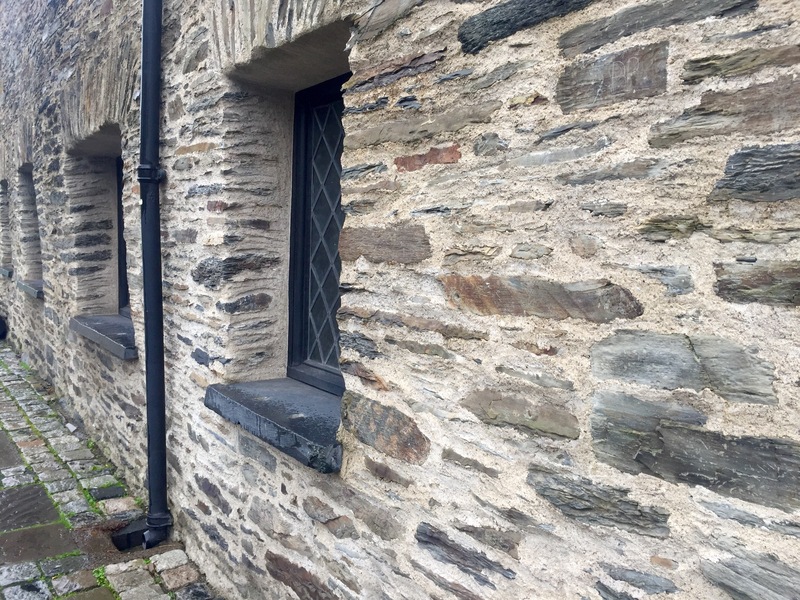 The WCP is routed out of Aberdyfi through forests and away from the edge of the estuary. In the driving rain, I really didn’t fancy climbing through hilly, muddy forests, so I decided to go via road to Machynlleth. 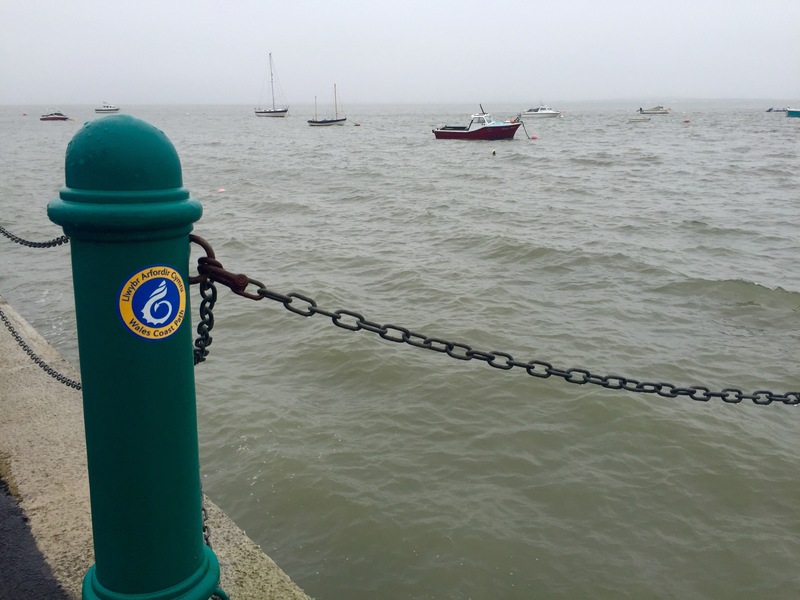 For one thing, I’d be much closer to the coast than the actual Wales Coast Path. So with head torch on for safety and everything tucked away from the rain, I marched onwards. Despite the misery of it all, the kilometres fell away quite quickly. It’s amazing the progress I can make when there’s nothing to look at or to photograph. I crossed from Gwynedd into Powys, over the old Dyfi Bridge and into Machynlleth. It felt weird being this far inland but still on the Wales Coast Path. 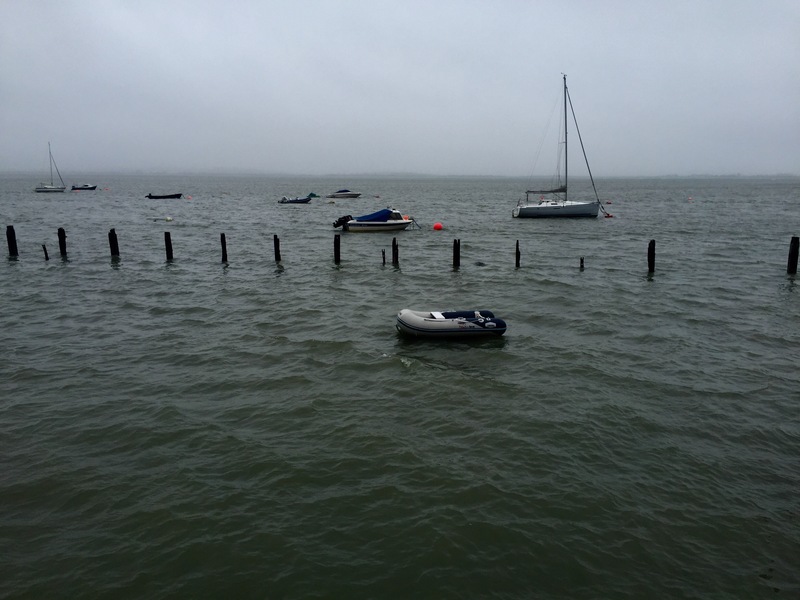 Besides which, when I was in Aberdyfi, I was only 1km away from the other side of the estuary. The absence of a bridge makes the journey inland a frustrating necessity though. 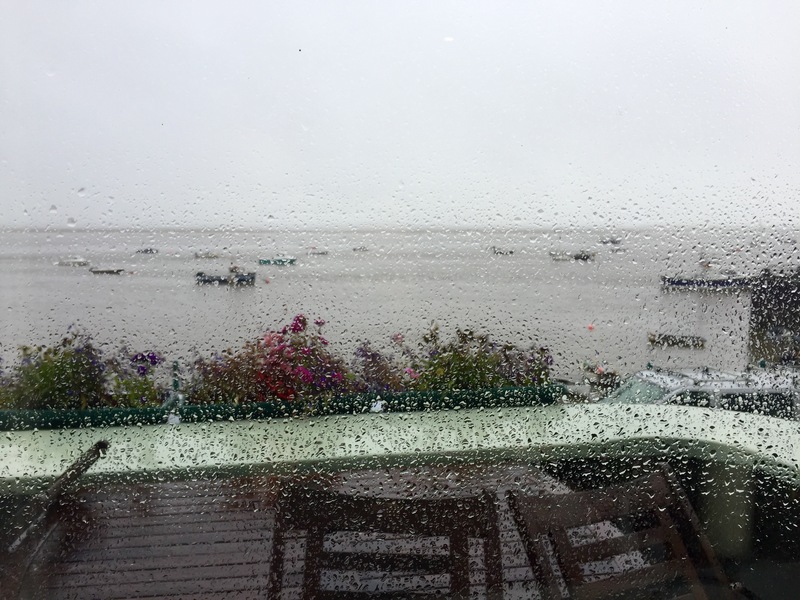 I thought about going for a swim at the leisure centre but then realised that I’d essentially already swam from Aberdyfi to get here. I also realised that during my walk, I had gone past the 700 mile mark, so allowed myself a moment or two of pride. Well, I didn’t stay after that. 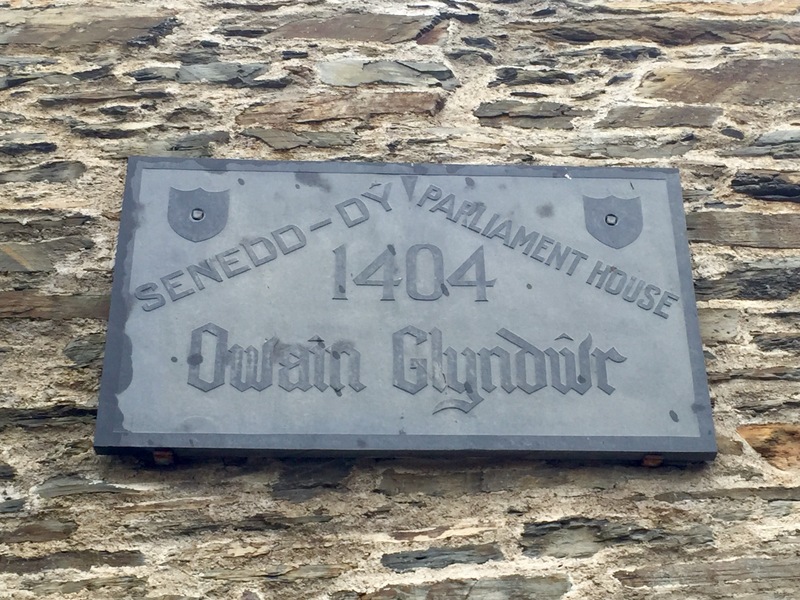 Instead I visited Owain Glyndŵr’s Welsh Parliament building. 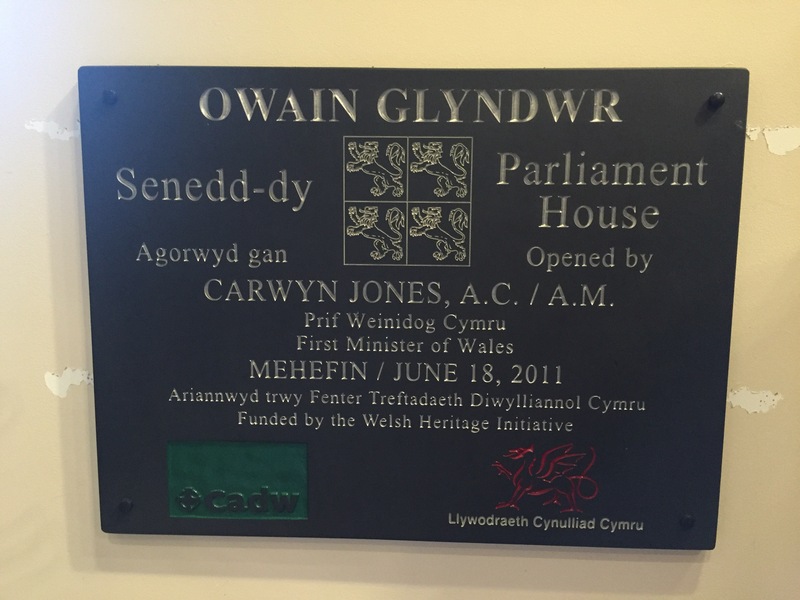 It’s built on the site of the parliament at which Owain was declared leader of Wales. 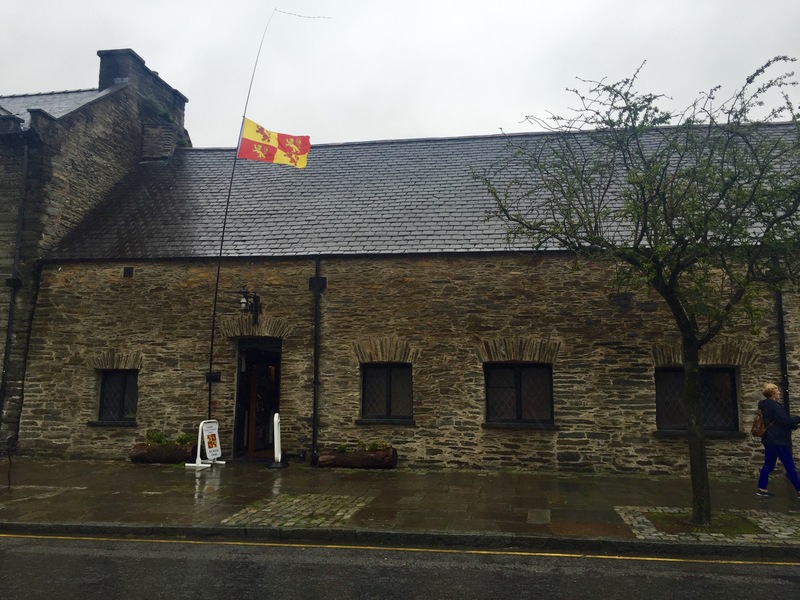 Unlike the MOMA, I got a fabulous and friendly welcome from Dafydd, museum assistant. 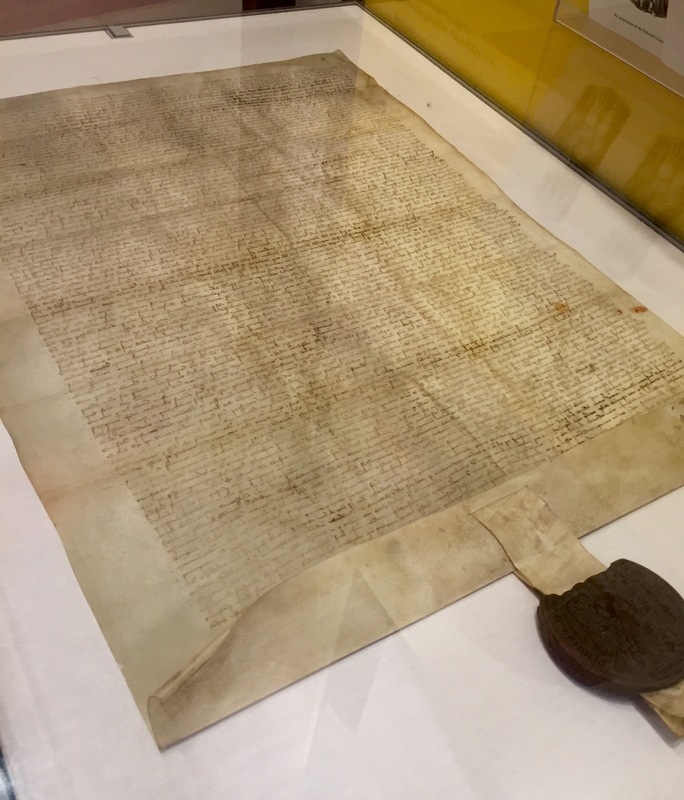 I saw a copy of the Pennal letter, which was sent by Owain to Charles VI of France. In it he set out his vision of an independent Wales. And then I spotted the greatest irony I’ve seen in recent years. I had to stifle a laugh. You just can’t write this stuff. After a bite to eat I made my way to my accomodation. For the second night in a row I was to sleep under a solid roof, this time a hostel. It was positively decadent. I laid in bed with a smile on my face while my kit dried off and felt a very lucky person. Wow. You were brave to walk that road between Aberdyfi and Machynlleth- which I remember as being very busy. I walked over the hills along the WCP on a fine day with wonderful views, but probably not a good route in the rain!